Lots on offer at Scunthorpe Central! Could you or someone you know benefit from Friendship Services? The Carers' Support Service wants you! Welcome to the March edition of the AIS Direct newsletter. The sun has been shining and the nights are drawing out and that is great for our health and wellbeing. Exercise is good for us too and in this month's newsletter you can find out about the Walkling for Health programme where you can join in with an established group and enjoy the exercise and meet new people. Walks for all abilities available. Still on the subject of health; have you or someone you know tried to stop smoking? Find out what support is available if you think 2019 is the year you will succeed. If you would like to catch up on previous editions, please visit the Adult Information Hub website. 7 March 2019 is World Book Day! Get involved…Celebrate stories. Love reading. It’s never too early to get children interested in books. The Imagination Library is a fantastic scheme open for all children in North Lincolnshire aged from birth to four years 10 months. 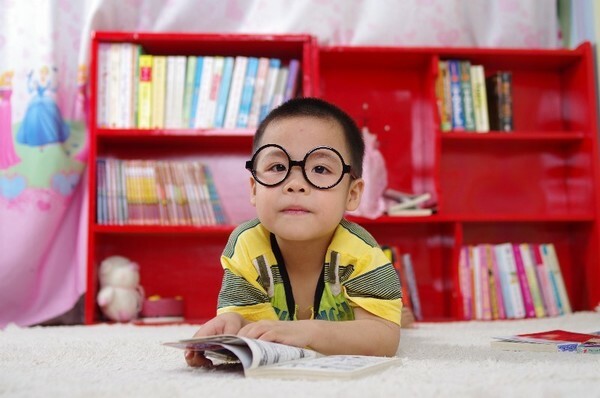 Each month a carefully selected book will be posted to your child and the book is totally free. However, you must register to get your free books. Either visit your local library or children’s centre or follow this online link. For details of your local library click here. If you can’t get to a library then read on to find out more about The Mobile Library also in this newsletter. We are celebrating the 12th National Apprentice Week between the 4 to 8 March 2019, which is a great opportunity to enforce the fantastic opportunities that an apprenticeship brings to employers, individuals, community and the economy. This year’s theme is ‘Blaze a Trail’ of the benefits. Please note: some events will take place at Scunthorpe Central, Ashby Link and Job Centre Plus. 4 March 2019 - open session at Job Centre Plus - 10am - 1pm. Think you're too old for an Apprenticeship? 11am - 12pm - Apprenticeships are available for all age groups and the session is about the benefits of having older apprentices. You are never too old! Writing an application form - 2pm - 3pm - making sure your application is correct so it stands out. 1pm - 2pm - Know your USP! 'Blaize into Health' Is a drop in session throughout the day hosted by the Healthy Lifestyles Team. Do you need help? Is health a barrier to you finding work? Today is the day to say no to cigarettes, to give up smoking for good, to become healthier and wealthier and to finally kick the habit. Most smokers wish they had never started to smoke and try to stop at least once every year. Those who get the right kind of information and support are much more likely to quit successfully and to quit for good. North Lincolnshire Council provides the Healthy Lifestyle Service, based in Scunthorpe Central, this service will give smokers the support, encouragement and tools to quit smoking for good. 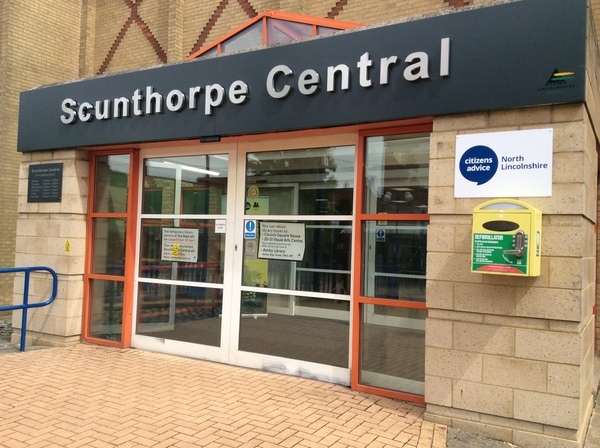 The service can be contacted on 01724 298212, it provides support all around North Lincolnshire and previous users of the service have praised the service. If you are serious about stopping smoking – give it a call. Its purpose is to bring people together to create energy, focus and fun in order to highlight and educate people on the value of food and drink in maintaining health and well being in health and social care. Organisations from around the world and from all areas of health and social care take part and new organisations are welcome to join in the fun. The highlight of every Nutrition and Hydration Week is the Global Tea Party which takes place on the Wednesday. This year this falls on Wednesday 13 March. For more information about nutrition and hydration week visit the website. For lots of healthy food tips have a look at the NHS website. Click here for more information including opening times and contact details. Joining the library is easy, it’s free and open to everyone. You can even join online. Target Ovarian Cancer is the UK’s leading ovarian cancer charity. They work to improve early diagnosis, fund life-saving research and provide much-needed support to women with ovarian cancer. The earlier a woman is diagnosed with ovarian cancer the more likely she will respond to treatment. But most women are diagnosed once the disease has already spread, and one in five is diagnosed too late for any treatment at all. Without a serious boost in awareness, women will continue to be diagnosed too late. Get together, raise awareness, raise money and save lives this March. 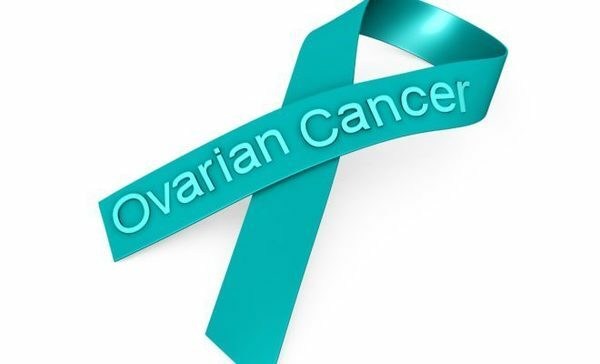 If you or someone you know has been diagnosed with Ovarian Cancer and you would like some information and support it would be useful to visit the Target Ovarian Cancer website. Would you like to receive regular phone calls or visits from a friendly, dedicated volunteer? Do you support an older person who you think would benefit from friendship services? Good company and conversation is enjoyable and important for our wellbeing and a regular telephone call can make all the difference. Independent age have lots of friendly, trained volunteers, they have had all the relevant checks and can provide phone calls or home visits. All the volunteers are people who enjoy listening, talking and getting to know people. If you could change one thing about the health or care services you and your family use what would it be? Tell your local Healthwatch and help focus their work for 2019/20. Please answer this short survey, your opinion matters. Since launching in September 2017, Lincs Lotto players have raised £80,000 for good causes across North Lincolnshire. Causes such as Lindsey Lodge Hospice, Scunthorpe & District Mind and Brigg & District Breast Cancer Support Group are raising money through the community lottery, a weekly lottery draw played by people living in North Lincolnshire. Sixty pence from each £1 Lincs Lotto ticket sold goes to supporting good causes across North Lincolnshire. Players can choose which good cause they donate to when they buy their tickets, with 50p going to the chosen cause, and 10p distributed to other local community groups and projects. 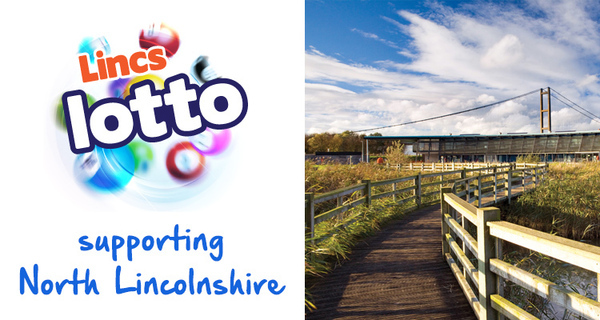 Each Lincs Lotto player has a one in 50 chance of winning a prize, with a jackpot up for grabs of a whopping £25,000. The weekly draw takes place each Saturday night. If you are a good cause or would like more information about Lincs Lotto, you can sign up for free at http://www.lincslotto.co.uk or contact lincslotto@northlincs.gov.uk. You can get your tickets at the Lincs Lotto website; make sure you follow Lincs Lotto on Facebook and Twitter for the latest updates on ticket draws, information about our local good causes and more. 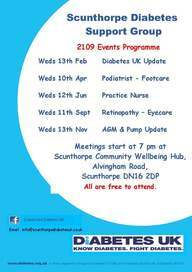 The Scunthorpe Diabetes UK Group offers support and information for everyone with Diabetes, their carers & families in the Scunthorpe and North Lincolnshire area. Meetings are held Bi-Monthly at 7pm, at Scunthorpe Community Wellbeing Hub, Alvingham Road, Scunthorpe DN16 2DP. They are free to attend. The group is run by an annually elected volunteer committee and is part of a network of local groups around the UK, supported by Diabetes UK. They are not able to offer any medical advice, however are there to provide support and share experiences of living with diabetes and related issues. Or for more information about diabetes and the work of Diabetes UK call Helpline 0345 123 2399 or visit the website. Are you a carer or former carer? The Carers' Advisory Partnership are asking people like you to share your experiences of being a carer to help shape services for carers in North Lincolnshire. They meet every month to discuss the services that carers receive - what is working well and what needs improving. The meetings are held 10am to 12pm on the last Thursday of each month, see website for location details. Assistance with transport may be arranged and alternative care may be available. To find out more about what they do and the difference you can make, please visit their website. Alternatively you can leave your details with the Carers' Support Service on 01652 650585 and someone from CAP will call you back for an informal chat. then your support is needed! Volunteers needed in the Scunthorpe store. 88a High Street, Scunthorpe, DN15 6HB. To make better use of your free time? To develop your skills and abilities? 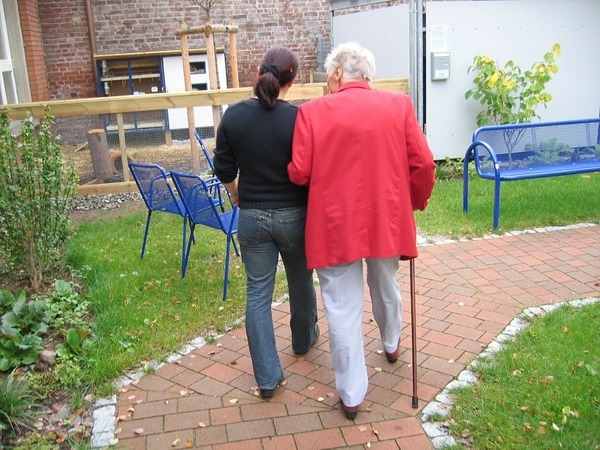 To improve the quality of life of Carers and local older people? To make a positive difference in your local community? Please contact us on 01652 650585 for further information. It’s a really handy way to keep up to date with information and events. Brigg and District FreshStart are hosting an afternoon of entertainment with live music and refreshments at Elsham Village Hall on Wednesday 20 March. The event will take place from 2pm to 4pm, is free of charge and all are welcome. Contact 01652 618023 for more information. Local poet Kate Brumby will be hosting a reading and open mic showcase at Scunthorpe Central on Monday 1 April, 2.15pm to 4.15pm. There will be poetry readings from Kate, and opportunities to showcase your own work. Slots will be 3-5 minutes long to give as many people as possible an opportunity to read. Places at the event are FREE but must be booked via EventBrite, as places are limited. Light refreshments will be included. Walking the Way to Health is an initiative that aims to encourage you to walk in your own community. Being physically active on a regular basis can significantly improve your health and fitness, and walking is ideal for building exercise into your everyday life. It is also a perfect way to see the natural environment around you. Visit the Walking for Health website to find a walk near you or download the current walking programme. The Shower Singers Community Choir meets every Tuesday at John Leggott College Scunthorpe from 6pm to 7.30pm. New members are always welcome to join us at any Tuesday rehearsal – just contact us in advance to let us know at showersingersnl@gmail.com or 01724 297956. The fee is just £3 a week. We have a membership of around 70 members who simply enjoy a really good sing! The choir sings a very varied repertoire of pieces ranging from music from the shows, pop classics, gospel to just beautiful traditional songs. The Shower Singers perform regularly. They give concerts in North Lincolnshire and are also happy to accept requests from further afield. Everyone is welcome to join, from students to the more mature. There is no audition needed and you don’t need to read music but you do need lots of enthusiasm! 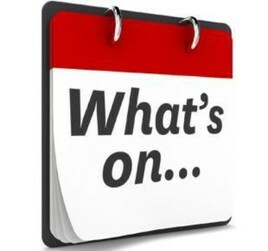 Check out the North Lincolnshire Music Hub website for lots more 'What's On'. We don’t want you to miss out. To sign up to receive updates about more of our council services you can do so by visiting our subscription page and updating your preferences. If you know someone who would like to sign up to receive updates they can sign up on the council website. Manage your subscriptions to customise the emails you receive or unsubscribe to any. Further help is available.